Sound killed the Tramp. Charlie Chaplin’s creation was the most beloved character of the silent screen, but Chaplin knew that having him speak would ruin him. He extended the Tramp’s life as long as possible, making two silent films in the “all-talking” thirties, but Chaplin let him speak just once. In Modern Times (1936) the Tramp sings a charming nonsense song. Chaplin placed the number near the end of the film and thereafter silenced the character forever. Although vestiges of the Tramp made their way into the Jewish barber in 1940’s The Great Dictator, it was clear to Chaplin that he would have to find a new road forward. What the public didn’t know was just how strange a road that would be. Inspired by the true story of Henri Landru, who married and murdered a succession of widows for their money, Chaplin would make the most daring film of his career: Monsieur Verdoux (1947). The world’s favorite comedian would ask his audience to see him as a sociopathic serial killer, and to laugh with and even identify with him. The film, which Chaplin subtitled A Comedy of Murders, would be his first flop, but it would also come to be considered a landmark of a form not yet fully realized in cinema: black comedy—that is, comedy that makes light of the darkest material of life, frequently referring to death itself. In literature, black comedy can be found as far back as the Greeks, but in film, its evolution would be slow and tentative. Black comedy is a tone, not a structure, and it’s hard to imagine the clowns of the dawn of film saying “I think I’ll make a black comedy today.” They were out to make audiences laugh, and whatever worked, they’d remember and repeat. But as film comedy moved from the factory-made style of producer Mack Sennett and his kind toward more artist-driven product, different tones and styles inevitably arose as the natural creations of distinctly original minds. And some comedians would tiptoe into the darkness and like what they saw. If, as in Jerry Lewis’s formulation, “comedy is a man in trouble,” then it would seem to follow that the deeper the trouble, the richer the comedy. From the dawn of film, comedy was represented by small, bumbling characters in danger from menaces many times their size. In Sennett’s world, where Chaplin would get his start in the movies, the menaces were typically villains ranging from bullies to crooks, kidnappers, and bomb-throwing anarchists. But these villains were caricatured archetypes, drawn from melodrama and represented by actors whose makeup ran to sinister mustaches, darkened eyes, and pointed eyebrows. Audiences never imagined the villains would win, and anyway, it was hard to fear for the lives of characters who could fall off a monumental cliff, then pop up and run away. This is where Chaplin’s Tramp enters—running, leaping, kicking, and nose-thumbing. What separated Chaplin from his peers was, at first, more the quality of his work than the kind. But as Chaplin moved away from Sennett and toward independence, he became more ambitious. He wanted to make the Tramp a richer, more emotional character, and to that end he began to place him in more realistic surroundings. Chaplin would move from the sunny parks of Sennettland to the more daunting slums of Easy Street, The Immigrant, A Dog’s Life, and The Kid, where his tramp’s costume would not be an identifier but the representation of an actual condition. Inevitably, this brought Chaplin closer to a form of black comedy. In this world, hunger, homelessness, and even drug addiction could be sources of laughter. Still, Chaplin and the Tramp were humanists at heart. Personally and politically, Chaplin always identified with the underdog. Whenever the Tramp reached the lowest point of his fortunes, his films shifted from comedy to pathos. Rather than laugh at a man in such pain, we would cry for him. But there was always hope. If the endings found the Tramp alone, his jaunty walk toward the horizon suggested that he might walk through the darkness and come out the other side. Chaplin’s contemporary imitators, pseudo-Tramps like Billy West and Billie Ritchie, never found this richness, but the more original comedians of the era would explore the darkness with their own unique styles. Buster Keaton’s implacability in the face of disaster acknowledged a world where even happy endings might be conditional. 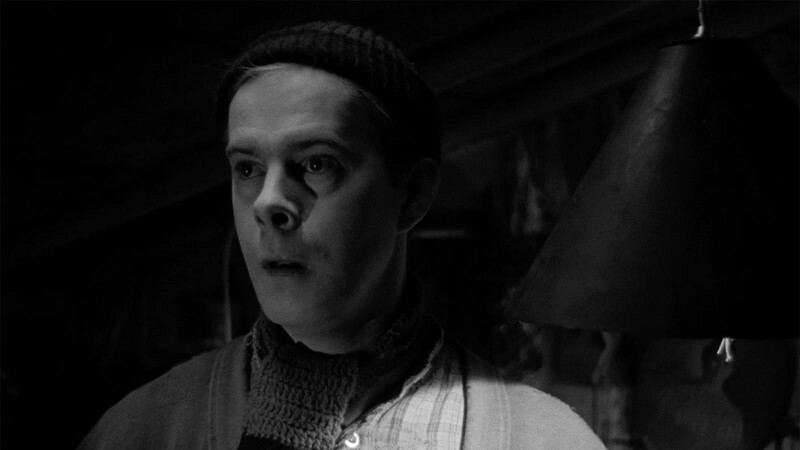 Harry Langdon’s man-child was so blissfully unknowing that he could float serenely through situations that would horrify the average mortal. Laurel and Hardy’s hapless lovability was often set against a universe so bleak that, years later, it would inspire one of the blackest of all comedies: Samuel Beckett’s Waiting for Godot. As silence gave way to sound and prosperity to depression, the darker side of screen comedy slipped out of view for a while. The screwball comedies and crazy farces of the 1930s were aware they were whistling past the graveyard, but they were more interested in the whistle than the grave. Chaplin made only two features during that decade, the sweet City Lights and the satiric Modern Times. But by 1940, a different darkness was beginning to envelop the globe. It’s tempting to call The Great Dictator a black comedy. Certainly the world in which look-alikes Adenoid Hynkel and the Jewish barber live is a very dangerous place. But the tone of the Hynkel sequences is burlesque. If black comedy acknowledges the scope of danger, burlesque reduces it. To burlesque Hitler was to make him less fearsome, more defeatable. It presents laughter as a rallying cry to victory. The Great Dictator is surely a greater film than the simultaneously produced Three Stooges short You Nazty Spy!, but the tone is not dissimilar. Once America entered the World War II, burlesquing Hitler and his allies became a default comic position. After the war ended, movie comedy rushed to reassure us that everything was well again. Domestic and romantic comedies predominated. The aggressive wit of the Marx Brothers and W. C. Fields was replaced by the brash insouciance of Bob Hope. The angst and darkness felt by returning soldiers bypassed comedy to suffuse the thriller format, creating the genre we now know as film noir. Chaplin, on the other hand, would not only channel postwar gloom into the tone of his comedy in Monsieur Verdoux, he would make it an explicitly stated theme. The spirit of Monsieur Verdoux’s comedy sequences is that of French farce—albeit with bed-hopping that escalated to victim hopping. 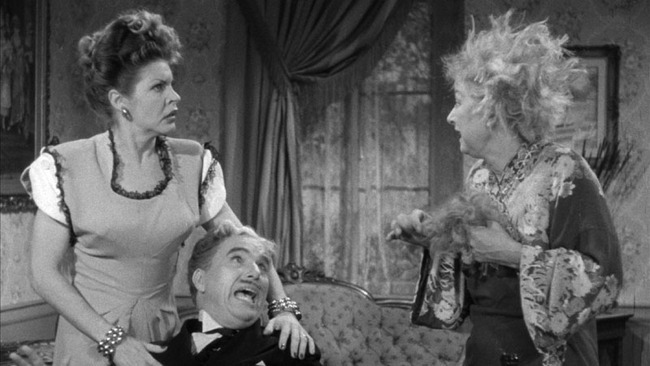 The film’s comic high point is Verdoux’s desperate attempts to kill the unkillable Annabella, played by the brilliant, and sadly forgotten, Martha Raye. 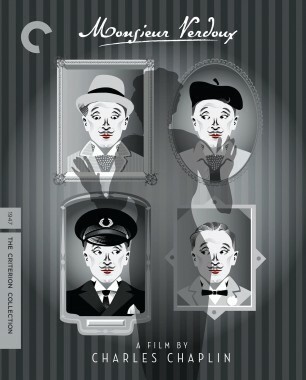 But the film’s humor is embedded in Chaplin’s bleak, war-haunted worldview. Monsieur Verdoux’s mixture of farce and fatalism was hardly what contemporary audiences were looking for in a Chaplin comedy. 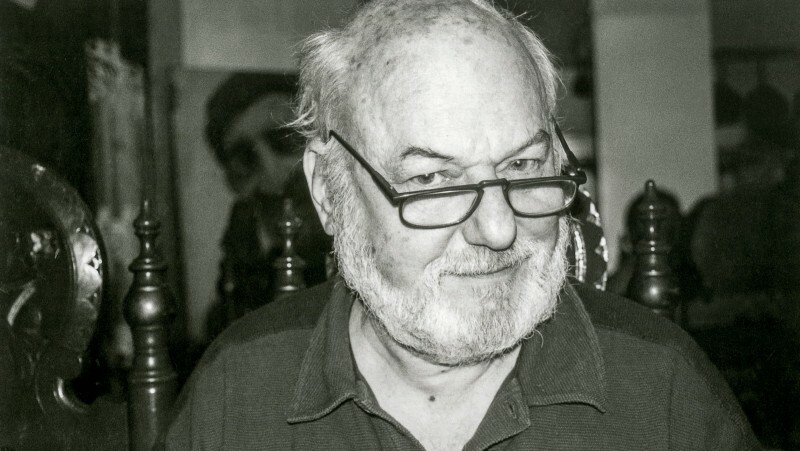 Although Verdoux had passionate defenders, it was a commercial failure—the public executing the film as cleanly as the court had executed Verdoux. If the Tramp in his time had had many disciples and imitators, Verdoux had few. 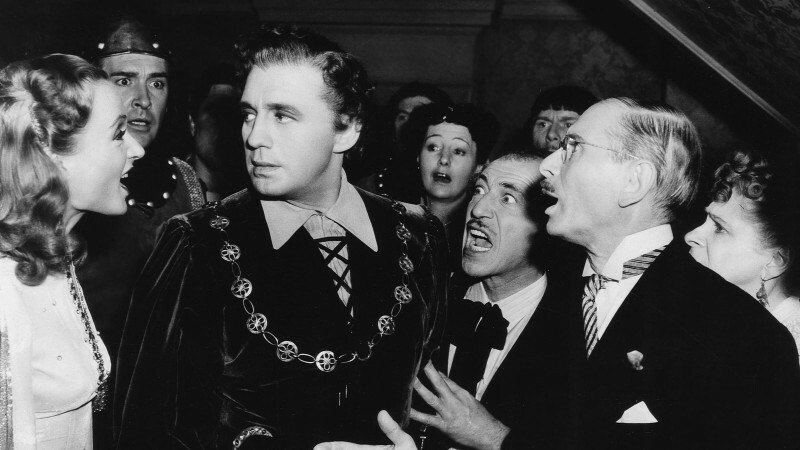 One has to look to the Ealing comedies of Britain to find its only direct contemporary descendant: Kind Hearts and Coronets, in which a man kills an entire family of Alec Guinnesses, with the sole motive of social advancement. And there things stood, Verdoux forgotten by all but a devoted few, until 1964. Chaplin, who had kept his major films out of circulation for years, rereleased them for a festival at the Plaza Theater in New York. By that time, the world of comedy had changed. Audiences were laughing at the inaccurately but usefully named “sick comics,” like Lenny Bruce and Nichols and May. War was concurrently being satirized in Stanley Kubrick’s pitch-black, utterly hilarious Dr. Strangelove. But Chaplin had been there first. With the Cuban Missile Crisis just behind us and the Vietnam War just ahead, mass murder’s “amateur” spoke to a new audience with the force of revelation. Thus began Monsieur Verdoux’s belated march to classic status. Unlike the eternally popular films of the Tramp, Verdoux’s fate is to be rediscovered by generation after generation. As the cold war has become the war on terror, and yesterday’s atom bombs today’s drones, Verdoux continues to haunt us and make us laugh. It’s as dated as its time, yet as fresh as today’s headlines.